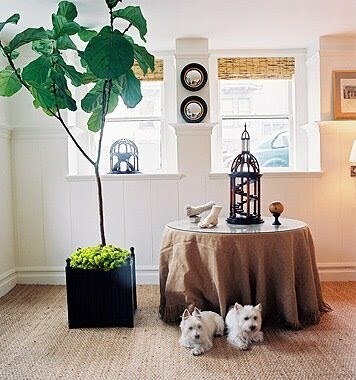 This trendy tree can be seen in all the hoighty toighty designer magazines and blogs these days! Why? 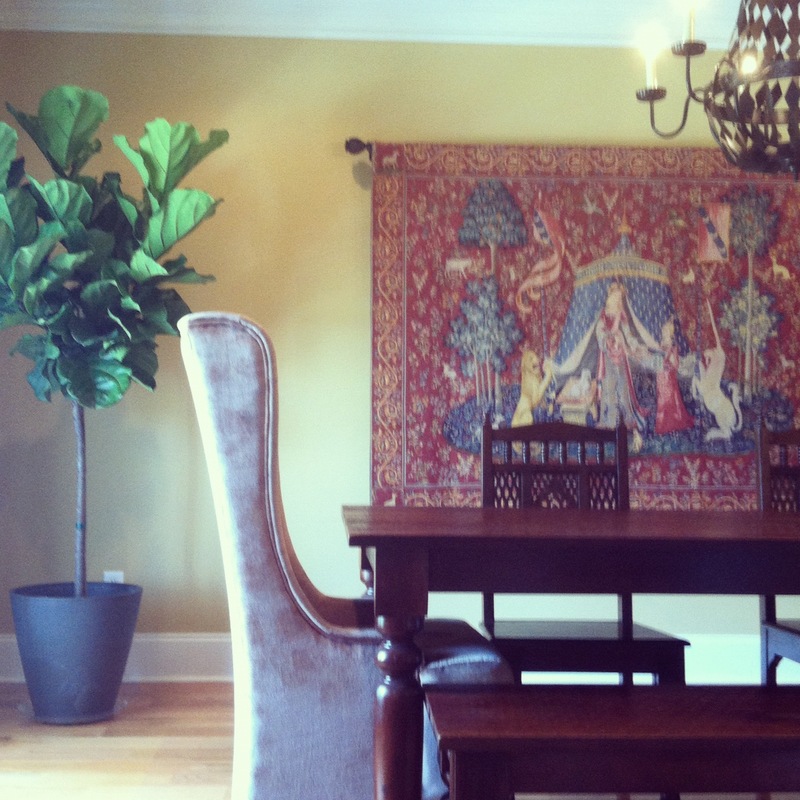 Because Fiddle leaf fig trees are awesome lookin’ and make any space look cool and dramatic. 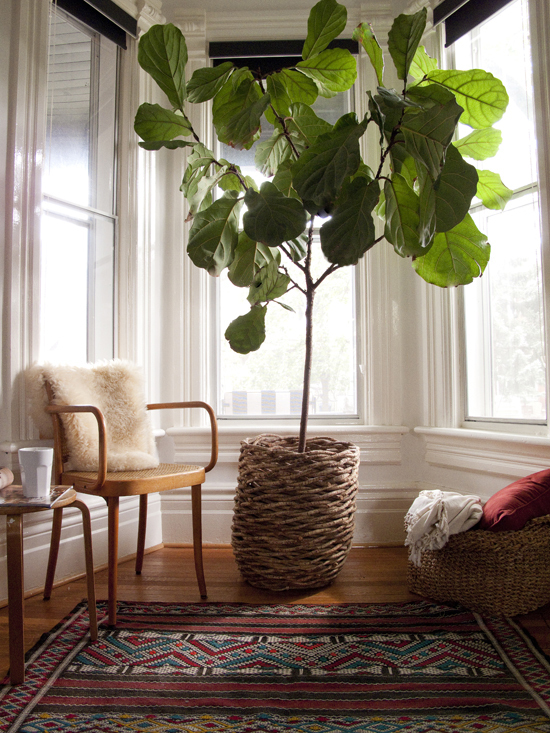 Big huge beautiful leaves, slow-growing, but can get very tall and they are easy to take care of. These days I have been just dying to name something Lola and now I have, hope I don’t kill her. 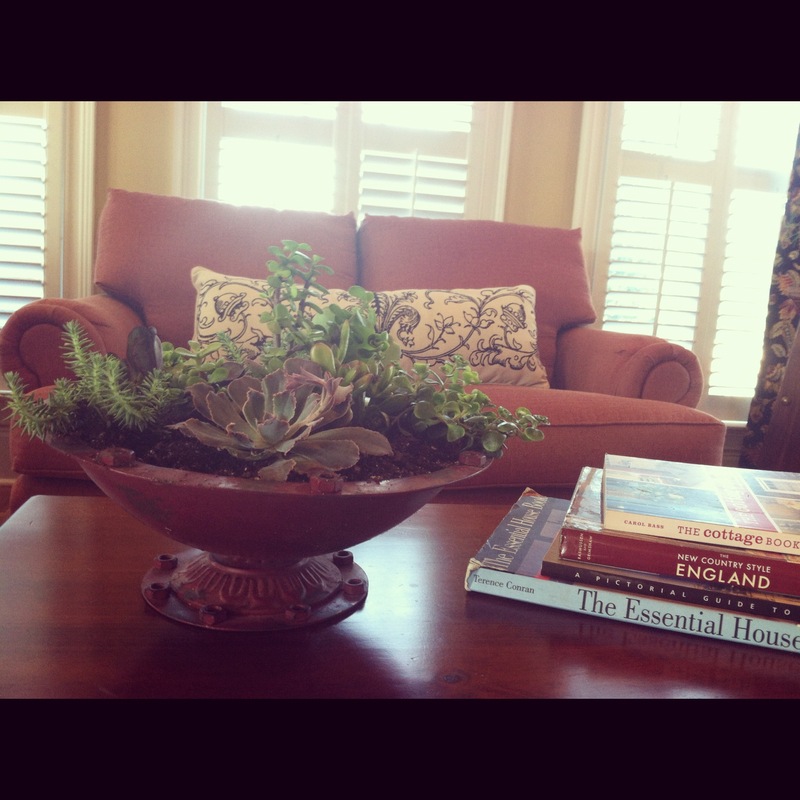 Result = my new succulent garden.. 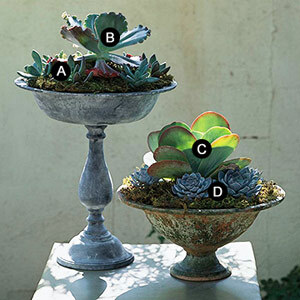 I love the way succulents look, they have that mad scientist, terrarium, spooky look, like they could come to life and take over your house look. 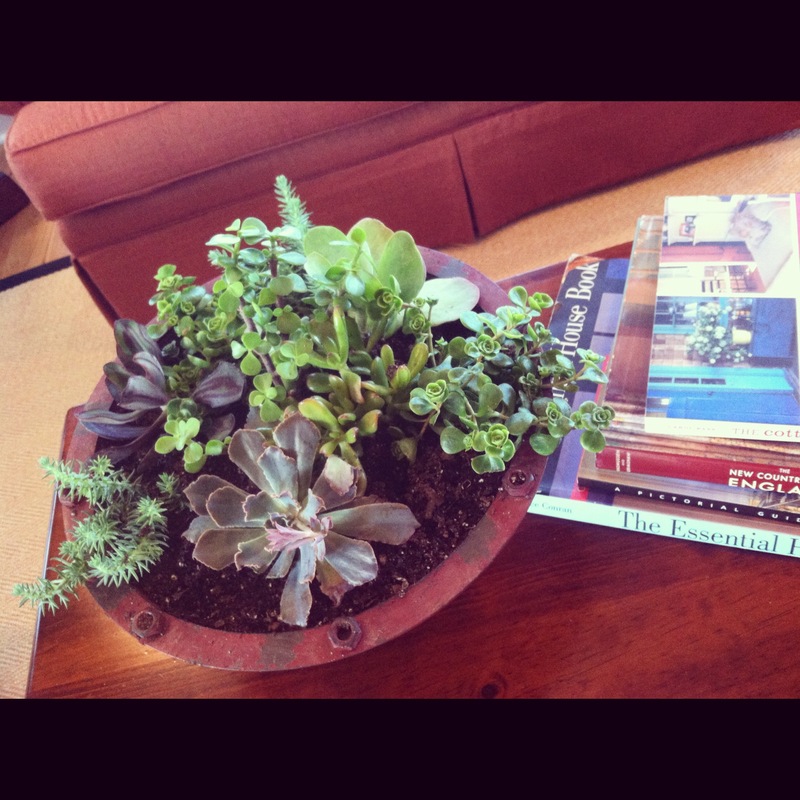 I found this red rustic farm like container, drilled a hole for drainage and it turned out just as I had hoped.